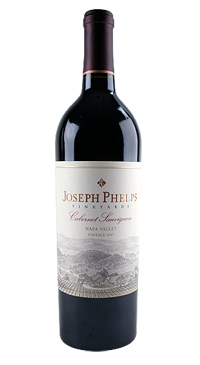 At Joseph Phelps Vineyards, the philosophy is to maintain, preserve and (where possible and appropriate) ecologically enhance the natural vineyard environment. Beginning in 1974 was a period of unparalleled activity, creativity, ingenuity, entrepreneurship and risk-taking that put Joe Phelps on the map of top Napa Valley wine producers. The 2011 crop was considered to be small and 15,000 cases where produced compared to the larger riper 2012 vintage. This wine attractive and well-made for the vintage, displaying notions of roasted herbs, red and black currants, loamy soil and plenty of fruit in a medium-bodied, sensual, silky style. Drink it over the next decade.